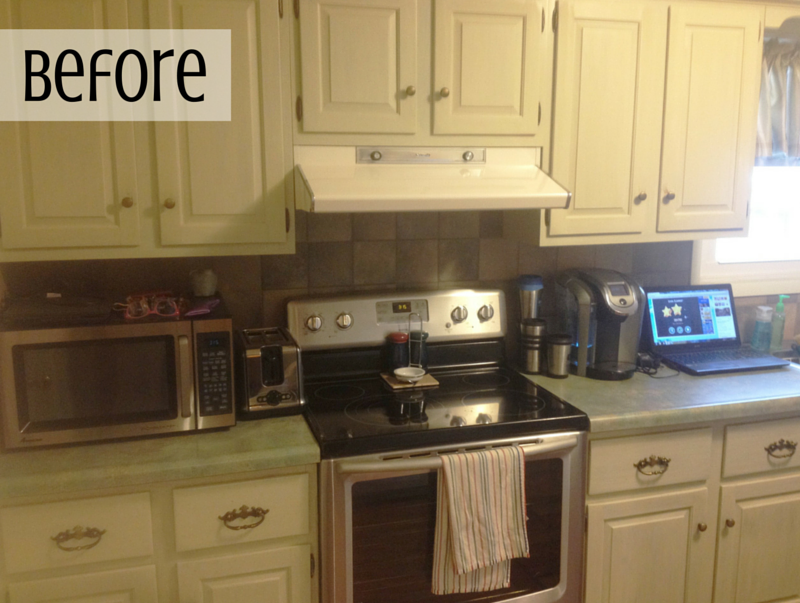 This featured kitchen remodel in Geneseo, IL gives a new layout that includes designated zones to help keep clutter to a minimum for this busy household. Any busy household could use some help when it comes to the subject of clutter control. “A place for everything and everything in its place”. That’s a great concept to embroider on a pillow but even with a brand new kitchen, let’s be realistic. Take a look at this design solution. A large-item drop zone area. This is easily our most favorite part of the new design. Kitchens tend to be located by the entrance used most by residents of the home. Where do you throw all your stuff when you walk in the door? 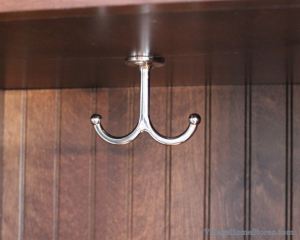 Including a drop zone area in your kitchen design can help to give your items a built-in place to rest. 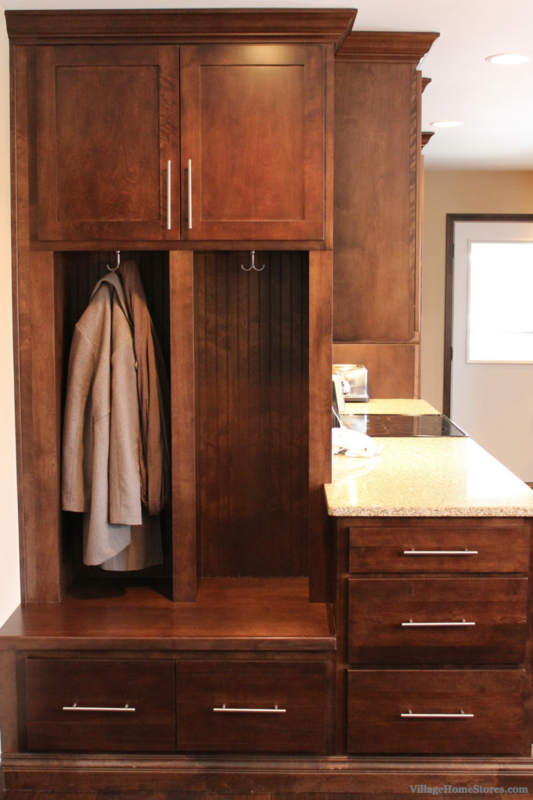 This design includes a cabinet above, two coat rack cubbies with hooks, and storage drawers below. 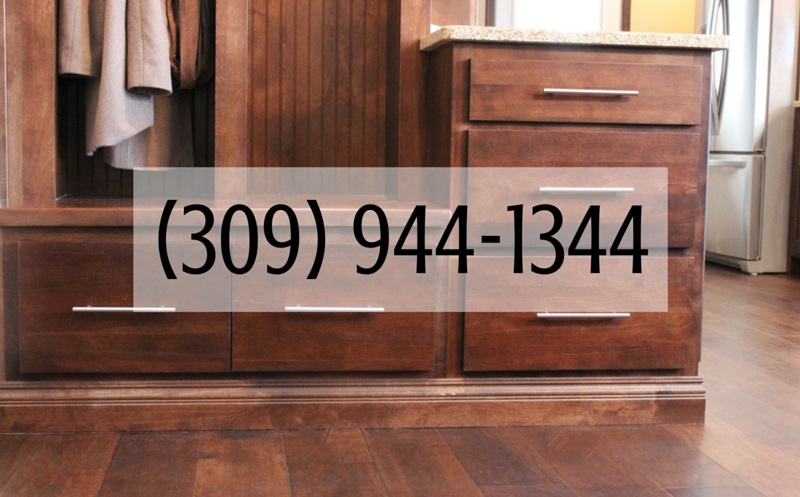 The drawers below become the perfect location for this family to store petfood and supplies. A matching beadboard panel has been installed to the back of this bench drop zone area. The ridges of the Birch beadboard help dress up the look of the coat cubbies when nothing is stored there. 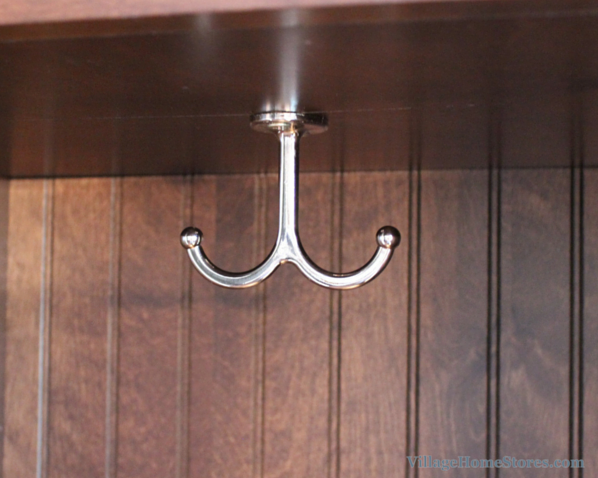 Hanging two-sided coat hooks from the bottom of the cabinet area above gives bulky items more space to hang. Have you ever heard a friend or family member complain they didn’t have enough drawers in their kitchen? 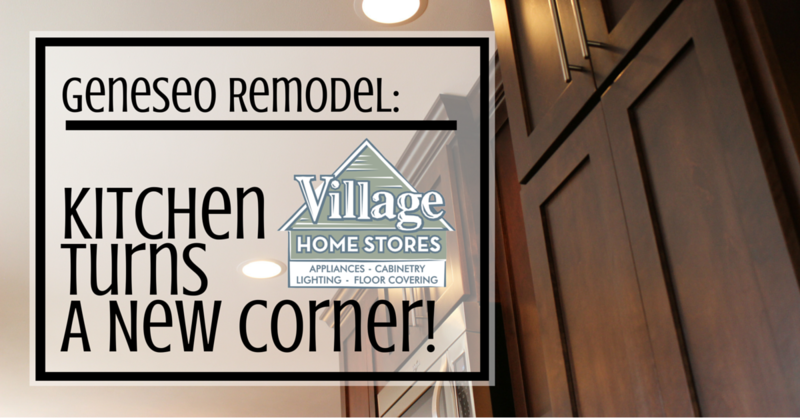 Well imagine how jealous they would be of this corner of our featured remodel. 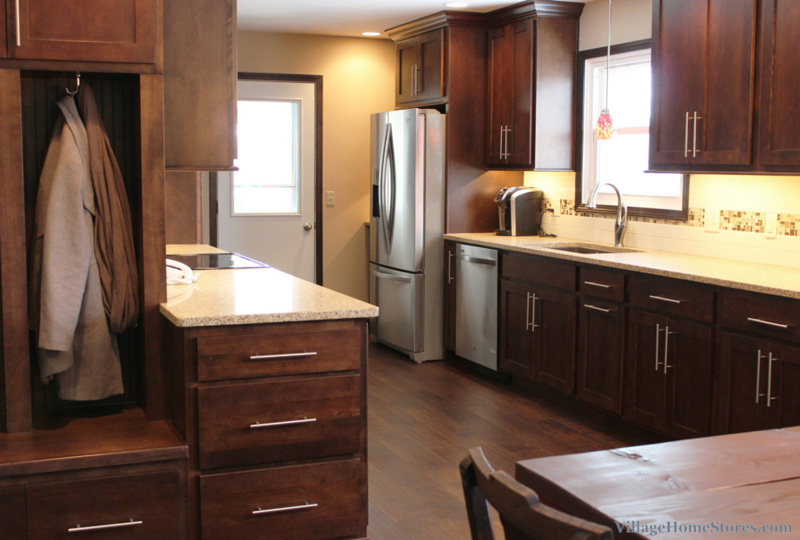 Dated cabinetry, hardware and tops have been completely upgraded for a stunning new look. 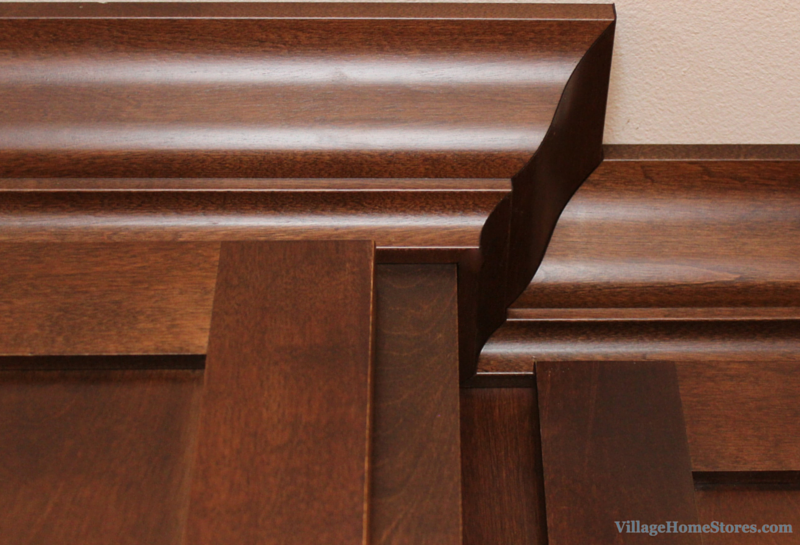 Rich “Mocha” stained Birch cabinetry has been installed in the “Savannah” Shaker doorstyle from our Koch Classic line. If you love the look of this Cherry look on a more affordable wood species, be sure to check out this other featured kitchen on the blog. The refrigerator in the new design has been moved to the sink wall. A small landing space of countertop has been included to the left of the Stainless Steel Whirlpool refrigerator. Hidden within the cabinet is a charging station. Including specified zones for devices is another way to keep kitchen counter clutter under control. 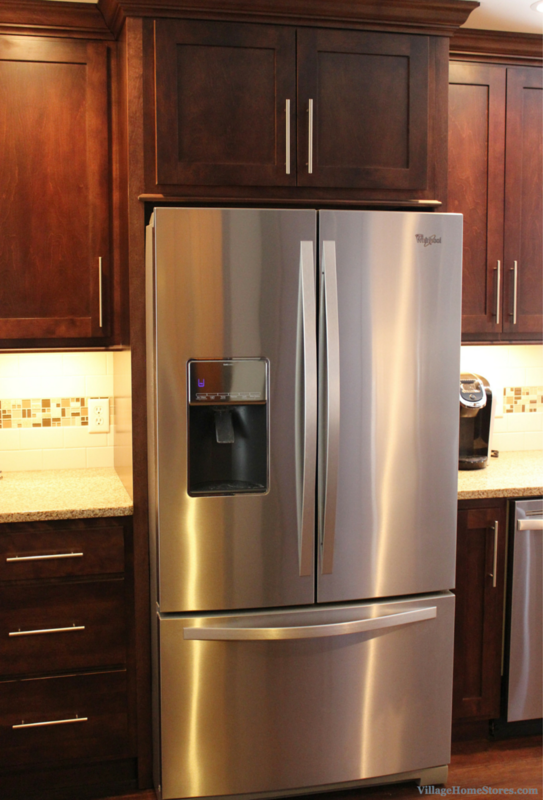 The new refrigerator has been surrounded with matching Birch end panels. 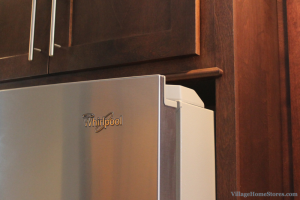 It is important to note that even though the design has “built-in” the new refrigerator, it still extends out into the space. 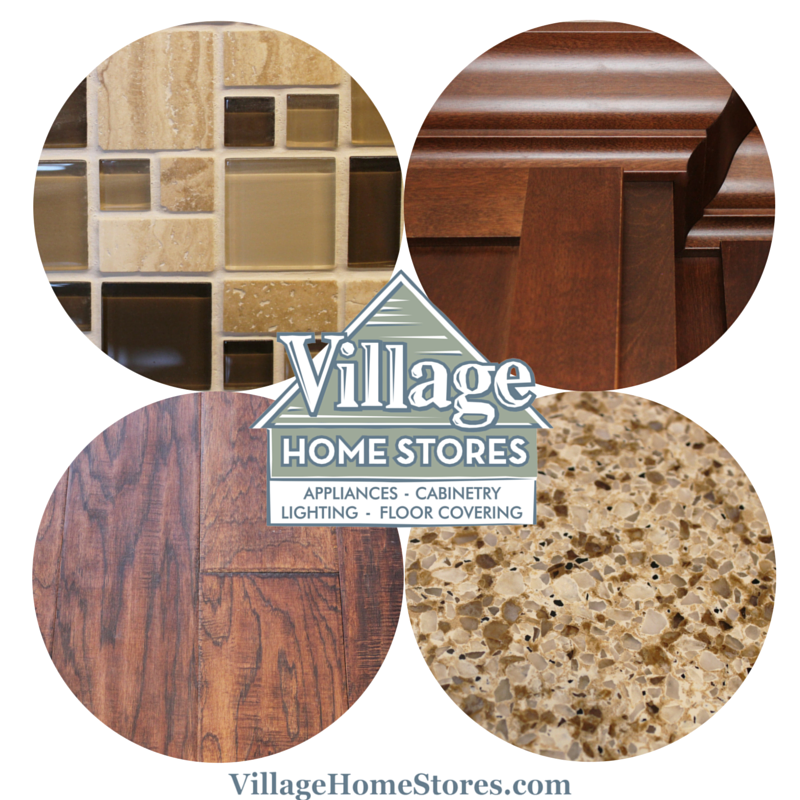 Be sure to discuss counter-depth vs. standard-depth refrigerator models choices with your kitchen designer and appliance salesperson at Village Home Stores. This layout does not demand the clearance or look of a counter-depth model. Because of that, a full-depth model that offers 25 cu. ft. of storage can be used for this new Geneseo kitchen. Counter-depth refrigerator models can look great and be a space-saving option but don;t forget you do lose capacity when compared to a standard-depth model. Directly across from the new refrigerator is a tall pantry cabinet. 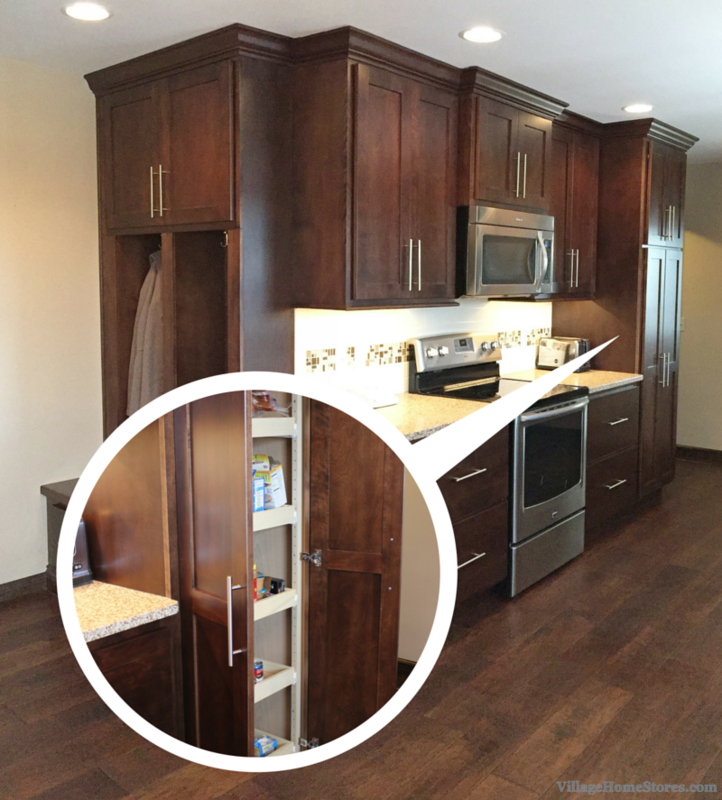 This cabinet has been fitted with adjustable slide-out shelves. In place of cabinets with slide-outs surrounding the range, two large drawer stacks have been included. Now all baking items, pots and pans, and lids are within reach of the cooking zone of the kitchen. 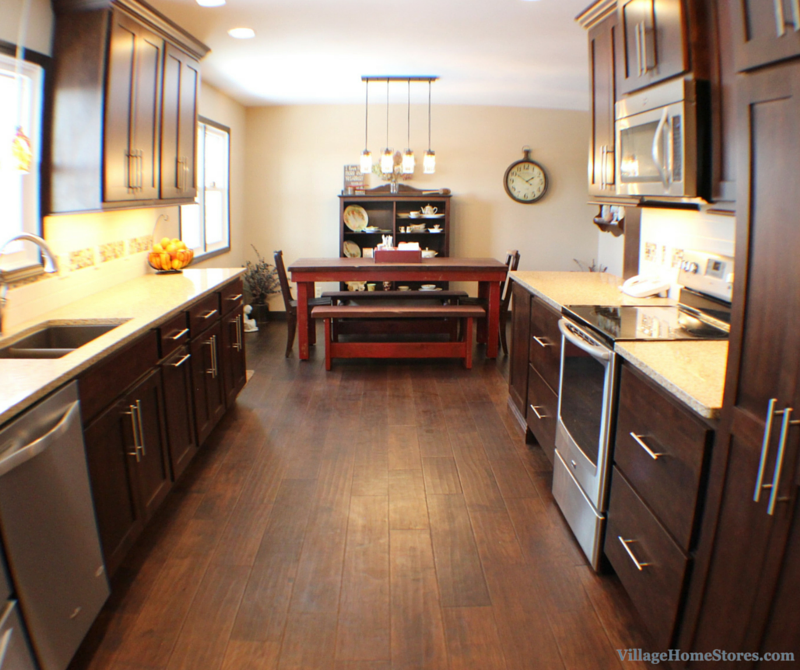 The new hardwood flooring in this featured kitchen is beautiful. A Hickory wood from Hallmark’s “Chaparral Collection” has been stained in the “Sagebrush” finish. Other materials from this featured remodel include Cambria’s “Winchester” design quartz tops and a mosaic tile accent strip that truly ties everything together. 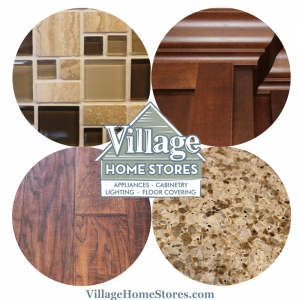 Working with Village Home Stores gives you the piece of mind that your kitchen will look great. We build a whole team of salespeople just for your project, That way all of the finishes and materials function and look fantastic!